KAMPALA- Mr Joel Mazaki developed a headache whenever he took his local brew; inguli, a local potent gin here made out of cassava. And to keep himself well, he occasionally ran to his neighbour who owns a local village drug shop for a painkiller to cool off the headache. Mr Mazaki is not alone when a headache, diarrhoea, constipation, nausea or joint-aches strikes some people, they rush to buy drugs over the counter without a prescription by a doctor. This has become the cheaper option, considering that visiting a doctor may mean paying a consultation fee, laboratory fees and you will still need some money to purchase drugs. Today, Mazaki is frail, has yellow discoloration of the skin and whites of the eyes and lies at Budadiri Health Centre III male ward in Sironko with a complication that doctors have described as cirrhosis [damage to the liver]. He has severe itching, is fatigued, occasionally has abnormal bleeding and his urine is usually dark because of the bilirubin excreted through the kidneys. The World Health Organisation (WHO) estimates that more than half of all medicines are sold inappropriately and that half of all patients fail to take them correctly. But by avoiding the visit to the doctor, you might end up having a more complicated condition that may cost you more money for treatment like Mazaki. Doctors say Mazaki is suffering from liver damage caused by over-the-counter painkillers. Non-prescription painkillers such as acetaminophen, Action, Hedex, aspirin, ibuprofen, diclofenac and naproxen that have damaged the liver, especially because the drugs were taken frequently in combination with alcohol. 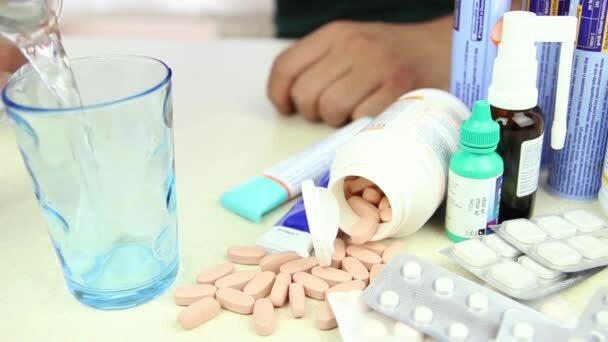 Dr James Ditai of Sanyu Africa Research Institute [Safri] said many trusted over-the-counter pain medications contain acetaminophen; ibuprofen and aspirin could have deadly side effects if taken in excess. Acetaminophen is one of the most popular over-the-counter painkillers but research has shown that it could be the human liver’s worst enemy. He explained that most documented cases of liver damage are from long-term use of painkillers but that new research is challenging even their short-term use. “Research shows that taking slightly too much acetaminophen over a period of several days can pose serious threats as well especially if it is not recommended by a medical personnel,” said Dr Ditai. “Even the safe amounts of acetaminophen — doses close to 4,000 milligrams (mg) per day, the current daily limit — may be quite toxic to the liver in a small number of people according to the Harvard Medical School,” he added. Mr Mazaki says he would take Panadol daily but that whenever if failed to work, he would add Action and Hedex before adding Ibuprofen and diclofenac and would get well. Action and Hedex are strong painkillers manufactured in Kenya and used to relieve discomfort associated with disease, injury or surgery. This implies that Mazaki got more acetaminophen than he knew since he would use more than 600 medications. Dr Gideon Wamasebu, the DHO Manafwa said initial symptoms of liver toxicity from acetaminophen are often vague — fatigue and nausea — and easily confused with the symptoms associated with the illness attempting to be treated with the drug. Dr Wamasebu says that unlike acetaminophen, overdosing on ibuprofen and other non-steroidal anti-inflammatory drugs (NSAIDs) can put one at a higher risk for cardiovascular diseases and heart attacks. NSAIDs can also damage the kidneys and increase the occurrence of stomach bleeding. A study published in the Lancet in 2013 that looked at more than 353,000 records from 639 different clinical trials to assess the risks associated with NSAID use also found for every 1,000 people taking NSAIDs there would be three additional heart attacks, four more cases of heart failure and one death. The overall number of heart attacks would increase from eight per 1,000 to 11 per 1,000 people with the drugs. NSAIDs posed an even greater risk to smokers, individuals that are overweight and physically inactive. Long-term, high-dose use of NSAIDs such as ibuprofen or diclofenac is ‘equally hazardous’ as the drug Vioxx. Vioxx is a type of NSAID that goes by the generic name Rofecoxib and was taken off the market due to its cardiovascular risks. A similar NSAID study of over 100,000 people found that ibuprofen was associated with three times greater risk of stroke in comparison to the placebo control group. Dr Wamasebu says that most people see over-the-counter medications as being safer than prescription drugs because one does not need a prescription. “Drug users rarely follow the safe maximum dose of over-the-counter medications and this is especially true when people develop a tolerance to the medication, causing them to take more and more,” said Dr Wamasebu. Dr Andrew Kasolo of Mbale regional referral says just because aspirin and paracetamol are sold over-the-counter does not mean they are safe. Previous advice for preventing heart attacks and strokes has been simple: take an aspirin every day. He said there is a wide range of adverse reactions that may result from aspirin use, including effects on the body as a whole, or on specific body systems, organs, and functions. “High doses can cause hearing loss and ringing in the ears (called tinnitus). Other side effects include nausea, vomiting, stomach pains, fatigue and, coincidently, headaches,” said Dr Kasolo a paediatrician. “And Aspirin should not be used for fevers in children under age 16 as research has shown it can cause the combination of swelling of the brain and liver damage,” he added. Dr Kasolo explains that paracetamol is an effective treatment for mild to moderate pain and fever in adults and children when used as directed in product information. He added that the maximum dose within a 24-hour period must never be exceeded and that even taking one or two more tablets than recommended can cause serious liver damage and possibly death. -Always read the product label and follow the instructions. Acetaminophen is used in many non-prescription and prescription medications, including products for cough and cold, pain relief, and headache pain. -Take the smallest amount of medication that works for you. Never take more than the maximum daily dose. -Take only one product that contains acetaminophen at a time because acetaminophen is in many products and you could accidentally take too much if you are using more than one product at the same time. -Get prescription from a medical worker as opposed to simply picking medicine over the counter. -The dose of acetaminophen for children is based on body size and usually, it is calculated as 10 mg to 15 mg per kilogram of body weight, every 4 to 6 hours and follow the instructions clearly. -No more than 65 mg/kg should be given in a 24-hour period and children should not take more than 5 doses in 24 hours unless advised by a doctor and for any child under 6 months of age, consult a doctor. -Among adults, the dose of acetaminophen is 325 mg to 650 mg every 4 to 6 hours and do not take more than 4,000 mg in a 24-hour period. If you are taking the extended-release caplets, the recommended dose for adults and children over 12 years is 1300 mg taken every 8 hours. -Acetaminophen products without a prescription should not be used for longer than five days in a row for pain or three days in a row for fever and if you consume three or more alcoholic drinks in a day, do not take acetaminophen products, as your risk of liver damage is increased. -If your doctor has recommended a dose, do not change the administering without talking to the doctor. -Do not take a double dose to make up for a missed one and if you are not sure what to do after missing a dose, contact your doctor or pharmacist for advice. -For those who keep medicine or drugs in the house, please store all medicine at room temperature, protect it from light and moisture, and keep it out of the reach of children.